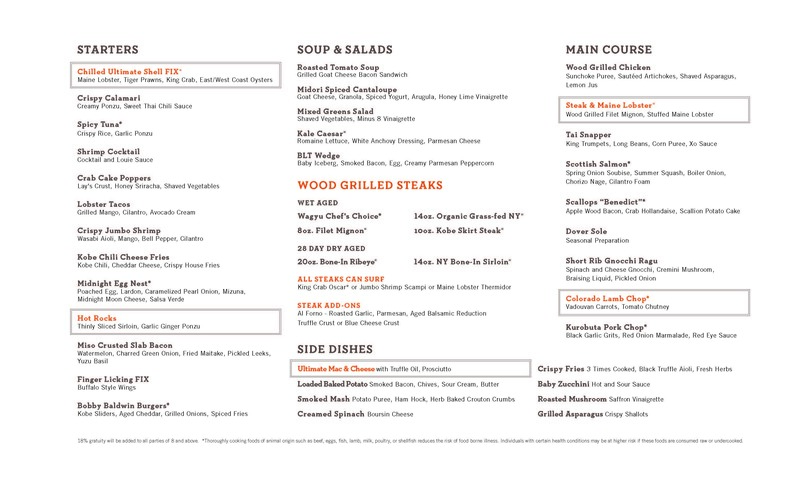 Daily : 5 p.m. – 11 p.m.
Classic American fare focusing on simply prepared, top-quality fish, meat and poultry, cooked to order on a wood-burning grill. Freshly baked breads and desserts round out the menu.  Sophisticated yet welcoming ambience is constructed almost entirely of Costa Rican Padouk Wood.